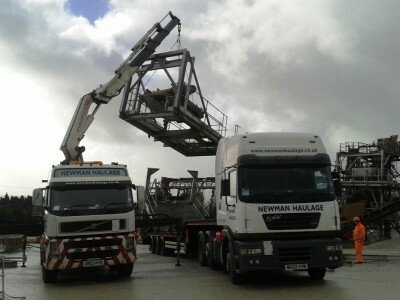 Newman Haulage is a Specialist Crane Transport contractor based in SE Cornwall. 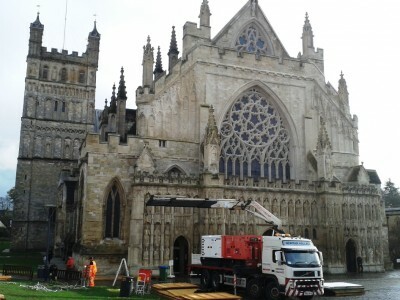 We provide Crane, Flat bed and Artic services throughout the SW and are able to travel across the UK. 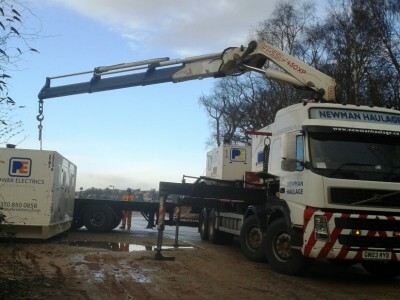 We operate a fleet of rigid & artic lorries most with HIAB Cranes. Supplementing these are a fleet of trailers incl flats, Skels and a 34ft low loader. We transport a range of loads focusing on Plant and Machinery movements primarily in construction and industrial environments. We offer a professional tacho monitored towing service which is available with a mobile bowser for refuelling works up to 2000Ltrs. 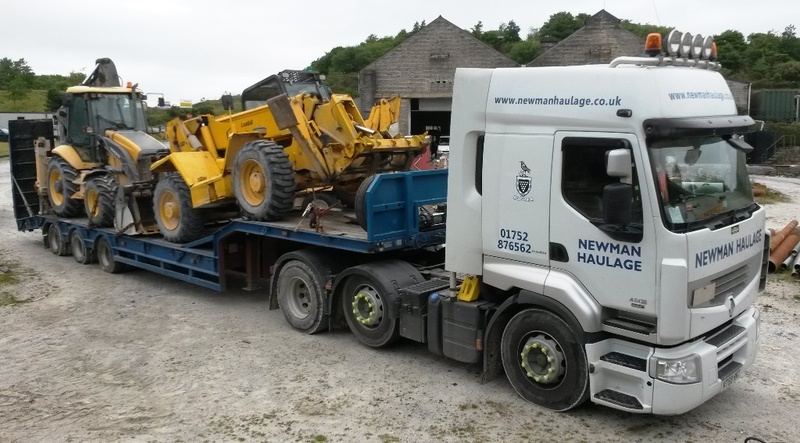 Our drivers are trained to a high standard & are experienced in all aspects of Crane Transport and Plant Haulage. They are qualified to operate our full fleet and hold ADR, ALLMI & ITSSAR licenses in addition to their DVLA driving entitlements and Drivers CPC. Our vehicles are equipped with a wide range of lifting gear and more specialist equipment can be sourced as required. All vehicles are ADR compliant and carry work specific Risk Assessments, Lift Plans and full inspection/certification records for all equipment on-board. We are here to support our customers needs 24/7/365. Reliable, very competitive and excellent at short deadlines. Newman’s provides an all-round good service. 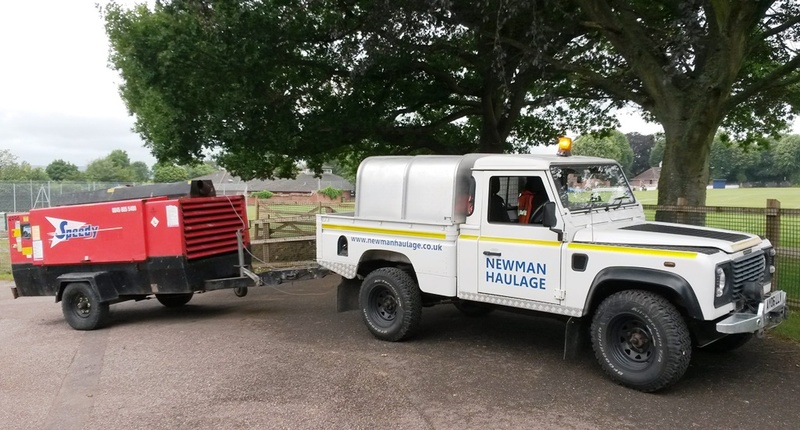 Power Electrics based in Bristol are a regular customer of ours and we often use a Wagon & Drag combination to carry a rage of generators from or to sites in the SW. 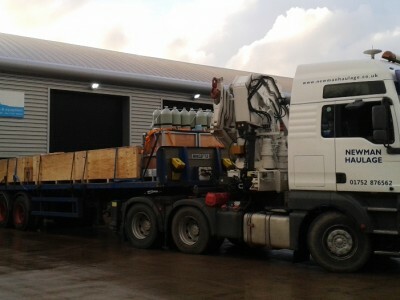 Here we are loading a 500 kva generator onto our drag whilst 2 x 100 kva towable units sit on the lorry. 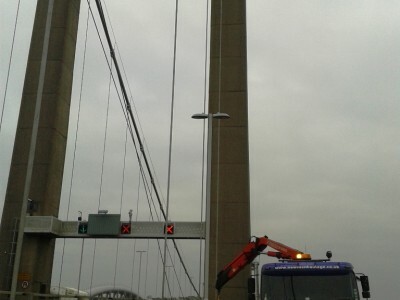 We have recently completed a number of jobs on the Tamar Bridge working with both the bridge staff and contractors. Here we are working in a lane closure on the cantilevered section positioning a compressor for Paintel Ltd. It’s a long drop to the River Tamar below!